I think the app has real true potential and I like [that] it’s virtually like being able to see bus routes even before you set out on a journey. Our digital displays provide visual and audio alerts in one easily installed and configured package. 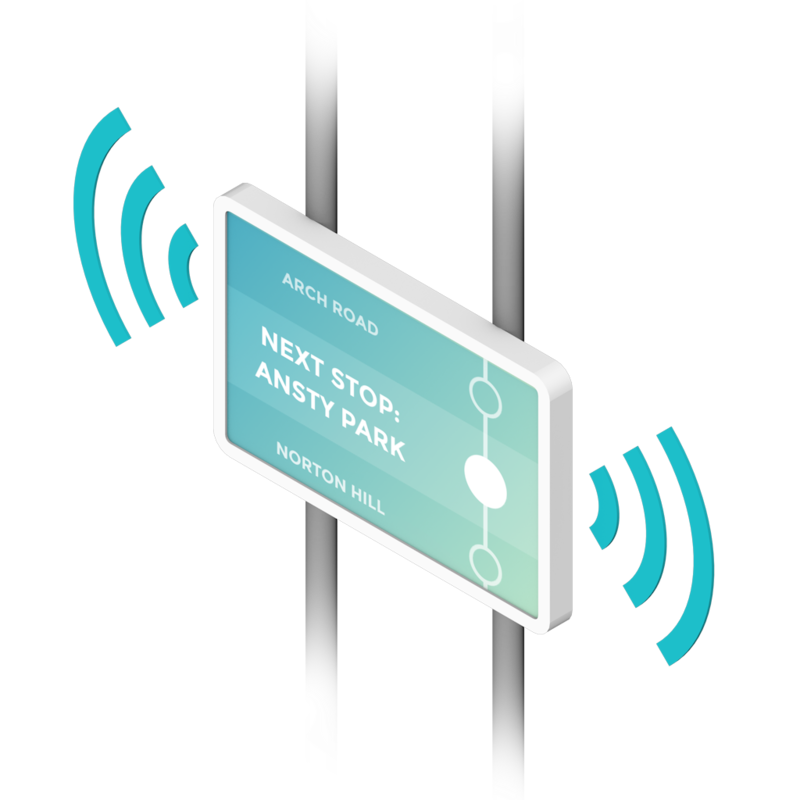 The NextStop® Mobile App gives passengers peace of mind, using GPS to alert them of their stop. 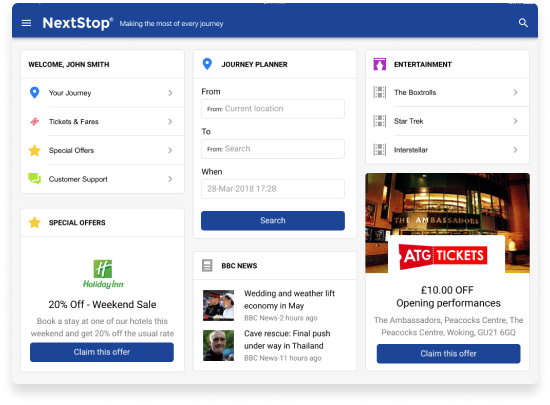 NextStop® Passenger WiFi makes journey planning, bus tracking, and getting off at the next stop a doddle. We do this through an integrated AV screen and media controller. Easily installed in almost any configuration, our technology is tried and tested by some of the biggest operators in the UK, helping to improve public transport accessibility. 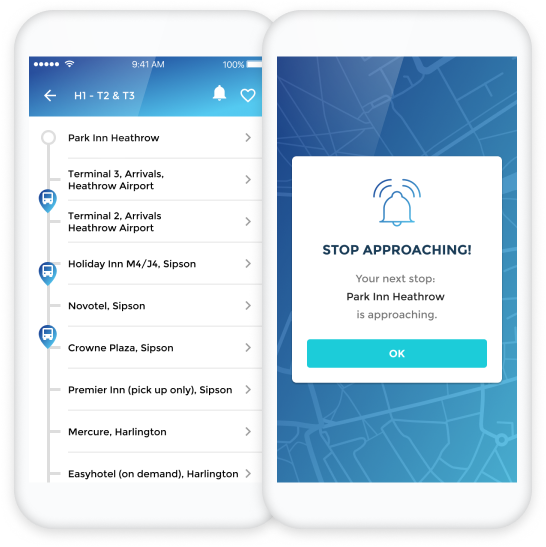 Using advanced GPS technology NextStop® Passenger App provides synchronised audio and visual notifications, ensuring fully accessible information for all passengers groups enabling them to navigate your services with ease. Give your passengers free WiFi and easy access to journey planning, bus tracking, local deals and promotions. 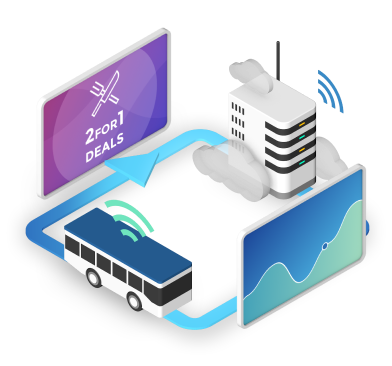 NextStop® Passenger WiFi offers features such as location-based advertising, entertainment and analytics so that operators can maximise their offering and open new revenue streams. We use state-of-the-art M2M technology to provide an autonomous technology experience. 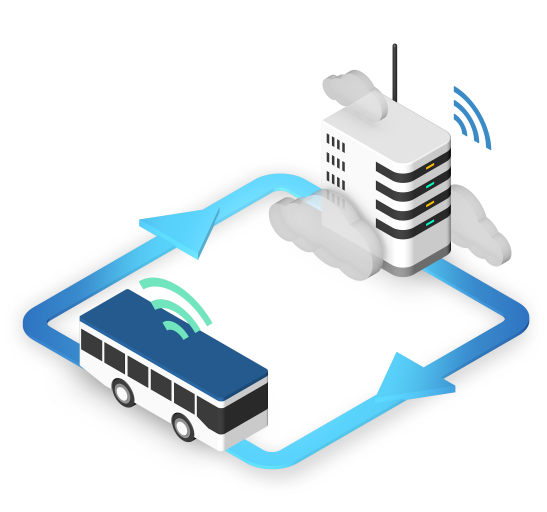 Route data and other service information is aggregated from a range of Open Data sources which the NextStop® AV systems is able to utilise alongside real-time information from other vehicle systems. 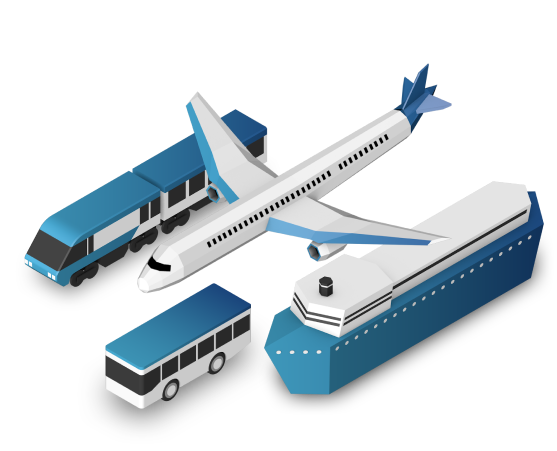 NextStop® makes integrated transport a reality for your passengers by highlighting connecting bus, rail and flight departures at connecting service points. When a vehicle approaches a connecting bus stop, departure boards and connecting service information for all modes of pubic transport are appropriately displayed. 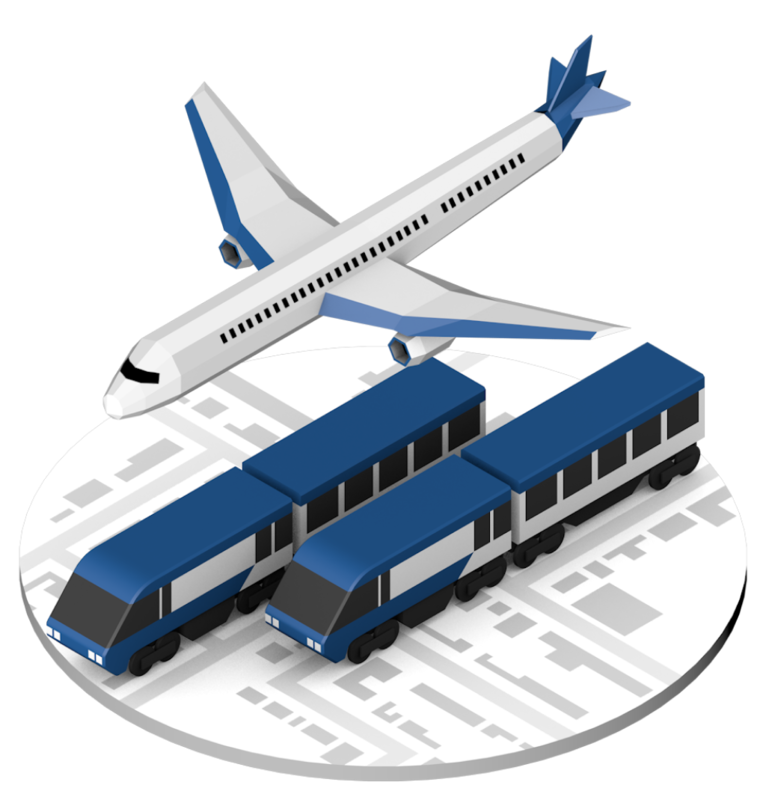 Route data and other service information is loaded to the system dynamically via the internet when installed and the system checks for updates daily thereafter. When in service, the app communicates with the buses real-time system (via SIRI subscription) to update journey information throughout the day. When the next stop is approaching, a notification message is broadcast on screen to confirm the vehicle will shortly be arriving at the next stop. Using a text-to-speech system means there’s no need for any pre-recorded messages.